Hi guys, how you doing? I haven’t blogged in a long time because I have had such a long summer and with my kids at home and school on holiday, it’s been a handful. So, am glad to say my summer vacation is gradually coming to an end😜. First stop was Jubilee Gardens in London. I love visiting here because this is where I create London memories for my kids 😊. I always want them to remember Big Ben and the London Eye. This year, we added the Shrek Adventure to our attractions. It was fantastic! 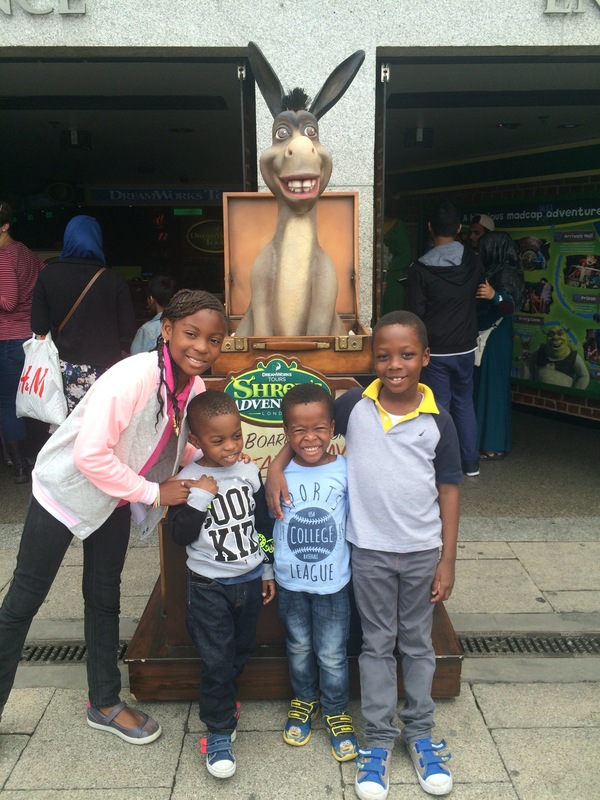 The kids even had more fun when their friends from Nigeria joined us for the Shrek Adventure. By the way, my kids didn’t want to leave the Shrek Adventure even after their tour was ended. Next stop: The United States! Previous post: You are welcome!